The Internal Revenue Service is under fire for targeting tea party and other conservative charity groups for extra scrutiny. The Internal Revenue Service is under fire for targeting the tea party and other conservative charity groups for extra scrutiny. The IRS watchdog is set to release documents this week that will reveal fresh details on why the IRS picked on conservative groups that were seeking tax-exempt status. The tax agency has apologized and given a rudimentary explanation. Here are some questions and answers that throw light on what happened. What does the IRS have to do with charities anyway? The IRS has to make sure that charitable, education and religious groups -- that don't have to pay taxes on their operations -- are not scamming the federal government. The IRS gets 60,000 requests each year from such groups seeking tax-exempt status, according to Lois Lerner, director of the IRS's exempt organizations office. Most charities are tax exempt under the 501(c)(3) category. The classification prevents groups from getting directly involved in politics, because donors can deduct contributions from their income taxes. Groups that want to dabble in politics can also apply for tax-exempt status under a different category called a 501(c)(4). This status allows the groups to campaign and participate in elections, as long as it's not their main purpose. It doesn't allow donors tax breaks. And as with most charities, donors are intended to be kept secret by the IRS. So why was the IRS digging into these groups? The number of 501(c)(4) applications more than doubled to over 3,400 in 2012, compared to 1,500 in 2010. The abnormally large number of applications was a red flag to the IRS. It goes back to 2010, when a "Citizens United" Supreme Court ruling allowed unlimited spending by corporations and labor unions on political campaigns. It also said that political donors should be disclosed. That case prompted a slew of politically-affiliated groups, including Karl Rove's Crossroads GPS, to become charitable organizations under 501(c)4, which allows donors to be kept secret. How many groups were targeted? The IRS says that 300 groups were set aside for extra review. 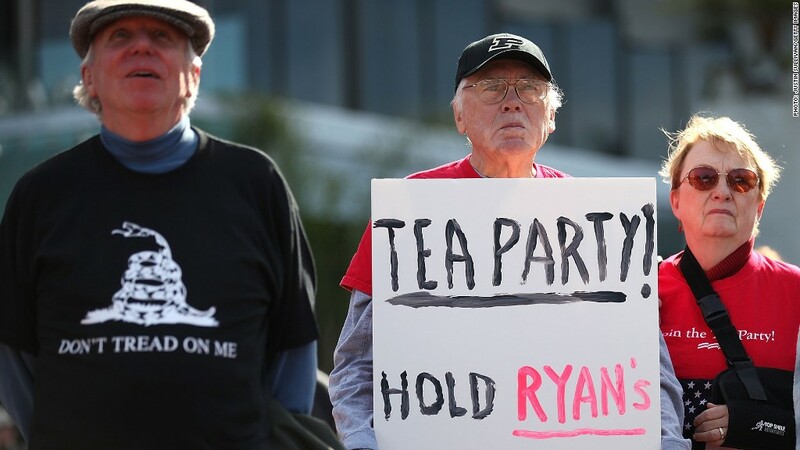 About 75 of them had the words "tea party" or "patriot." Why did the IRS target conservative groups? We'll find out more when the audit becomes public this week. The IRS targeted conservative organizations, applying extra scrutiny to applicants seeking tax exempt status whose applications contained the words "tea party" or "patriot." However, so far it appears IRS officials didn't do the same thing for left-leaning charitable groups. The IRS has some more explaining to do. A House committee has called a hearing this Friday to investigate the agency's actions. Republicans and Democrats, who lately can't seem to agree on anything, are joining hands in decrying the IRS.